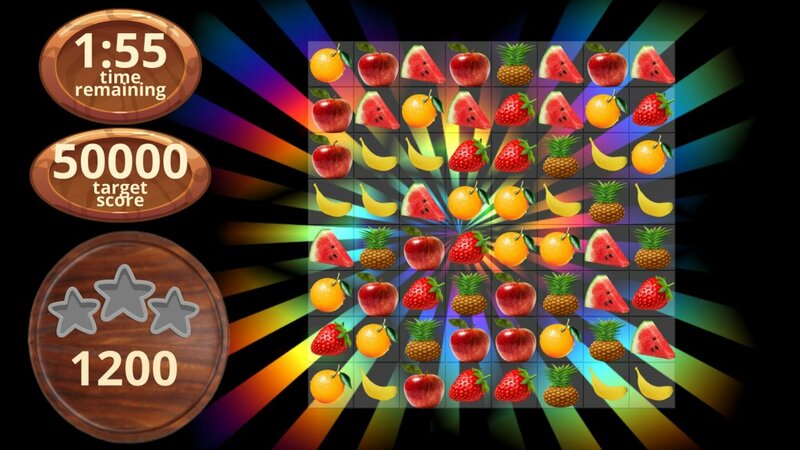 Basically you need to match 3 same fruits to progress... if you match lets say 5 of them you get a rainbow that gives you a bit more in the score. The rainbow works with any fruit. But rainbows can spawn randomly also. Levels: Each one will be different and more hard.